Accely is committed to maintaining your trust and we want you to understand when and with whom we may share information collected about you. With your consent. You may be asked to consent to have your contact information shared with third-party business partners. Business transfers. We may share your information in connection with a substantial corporate transaction, such as the sale of Accely’s Web Site, a merger, consolidation, asset sale, or in the unlikely event of bankruptcy. Please note that we may share information with advertisers. We also may share aggregated or anonymized information with third parties, including to help us develop content and services we hope you will find of interest. This information cannot be used to individually identify you. You can choose to enjoy content and features on Accely Web Site without directly providing us with any information about you; however, some information may be requested so you can take advantage of certain features and services offered on Accely Web Site. You can opt out of receiving commercial email or text messages from Accely Web Site or service by following the instructions contained in any such message. Please note that even if you unsubscribe to commercial messages, we still may need to send you communications relating to your use of the Accely Web Site, such as service announcements. If you choose to share contact information with us, you may have the opportunity to update that information on Accely’s Web Site. You also may update or amend your information by contacting us. If you ask us to shut down your account or delete your information, we will disable your account within a reasonable period of time. Please note that we may need to retain some information about you in order to satisfy our legal and security obligations. For example, some of your information may remain in back-up storage even if you ask us to delete it. In some cases, you may be entitled under local laws to access or object to the processing of information that we hold relating to you. We are committed to protecting your information. We have adopted commercially reasonable technical, administrative, and physical procedures to help protect your information from loss, misuse, and alteration. Please note that no data transmission or storage can be guaranteed to be 100% secure. 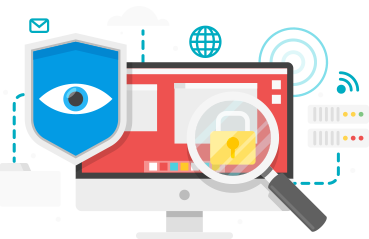 We want you to feel confident using Accely Web Site but we cannot ensure or warrant the security of any information you transmit to us. Please refer to the Indian IT Act for information on how to protect yourself from identity theft. Accely is headquartered in India. Please be aware that information you provide to us or we obtain as a result of your use of the Accely Web Site may be processed and transferred to India and be subject to indian law. The privacy and data protection laws in India may not be equivalent to such laws in your country of residence. By using and participating in Accely Web Site or providing us with your information, you consent to the collection, transfer, storage, and processing of information to and in India. Accely Web Site is intended for a general audience and do not knowingly collect or store contact information about children under the age of 13. Accely Web Site may ask for a birth date to ensure that they are not collecting information from children under 13 or to identify when additional steps may need to be taken in connection with information collected from children under 18.